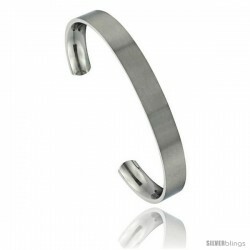 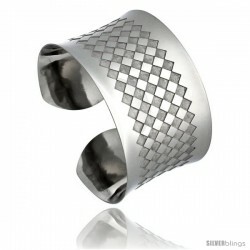 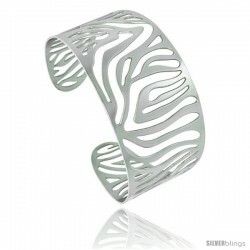 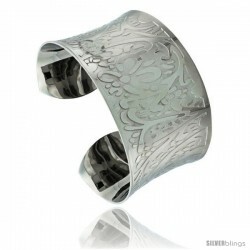 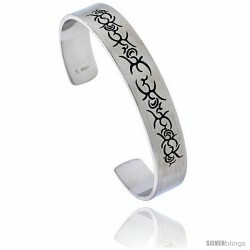 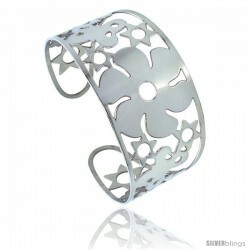 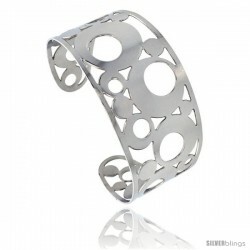 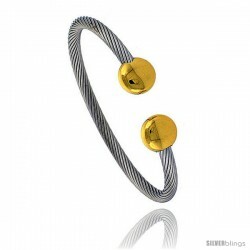 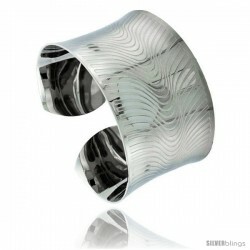 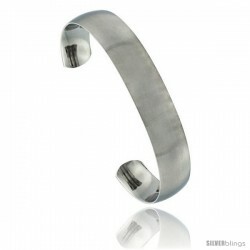 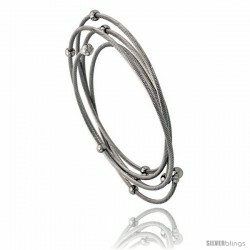 This distinctive Cuff Bracelet crafted of Stainless Steel is expressive and bold. 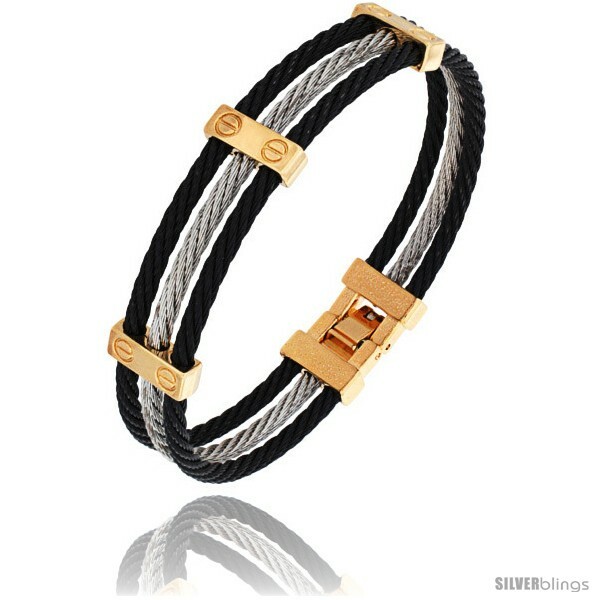 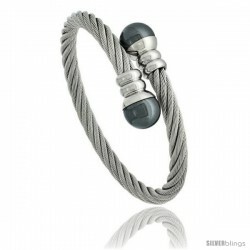 This Stainless Steel Bracelet is High Quality, 3 row Cable, 2-Tone Black and Silver with Black edges and Silver tone middle row. 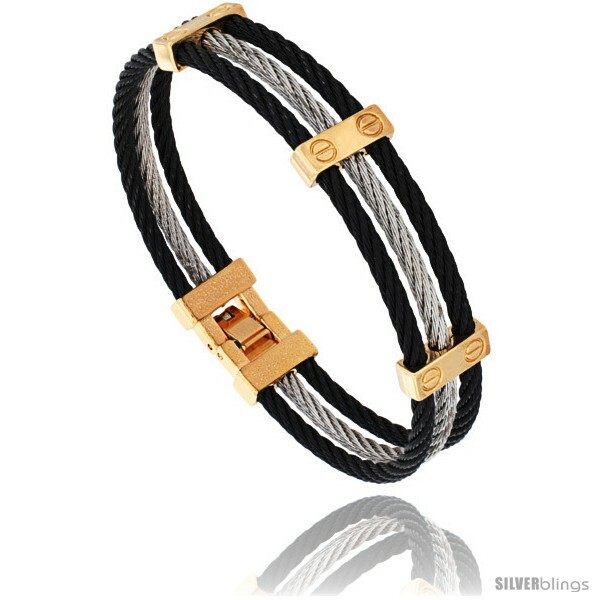 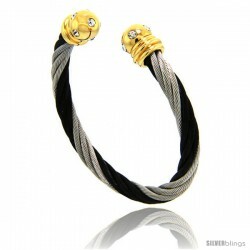 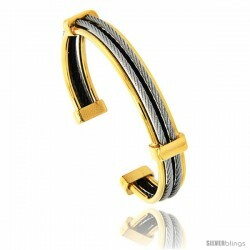 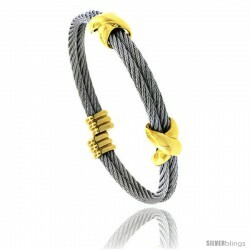 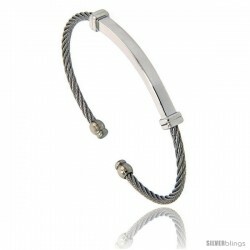 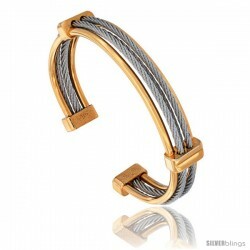 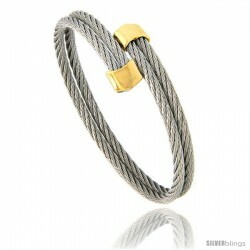 Cable runs through 3 decorative, Gold-toned bars, finishing with a Gold-Tone fold-over clasp.